Moonlight allows you to play your PC games on almost any device, whether you're in another room or miles away from your gaming rig. Moonlight (formerly Limelight) is an open source implementation of NVIDIA's GameStream protocol. We implemented the protocol used by the NVIDIA Shield and wrote a set of 3rd party clients. If you can see it on your PC, you can stream it using Moonlight, including your full Windows desktop at 4K 120 FPS with a capable client. Stream at up to 120 FPS using the new Moonlight PC client with the option to disable V-Sync for the lowest possible latency. You can host from most home networks without having to do any manual configuration or type any IP addresses. Check out the automatic configuration tool in our Setup Guide. 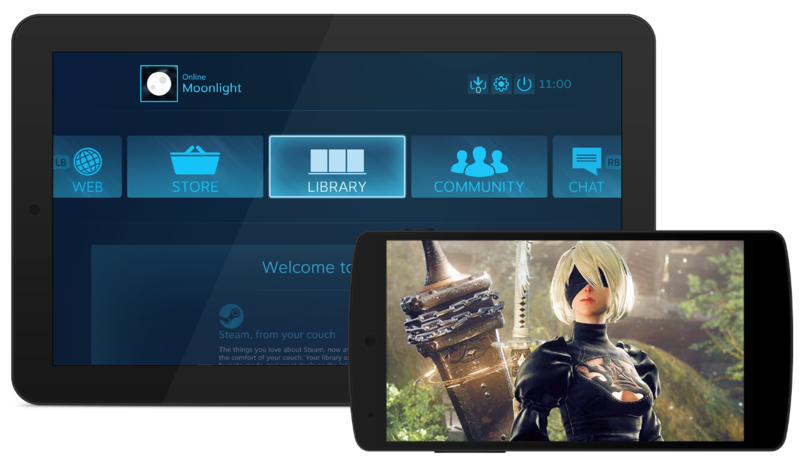 If you have an Android device, iOS device, PC or Mac, Chromebook, PS Vita, or even a Raspberry Pi, you can use Moonlight to stream to it. The code for our Moonlight clients is hosted on GitHub under the GPLv3 license. We welcome contributions and would be happy to help with ports to new platforms. Moonlight is a project run by the community, not a company. We have no interest in pushing ads, bundled services, paid versions with extra features, or subscriptions. Are you ready to stream? Check out our wiki for tips on how to get started. Having trouble? Check the wiki's troubleshooting page or join our Discord for help. Seasoned Moonlight user? Give back to the community by joining our Discord and helping other users. Moonlight was created by Case Western Reserve University students as a project at the MHacks hackathon in 2013 and further developed at MHacks and HackCWRU in 2014. We are not accepting monetary donations at this time and currently have no plans to do so. Instead, please direct any donations toward the Case Western Reserve University Hacker Society - the birthplace of Moonlight, Hacker Society is a club for CWRU students of all skill levels and backgrounds to explore computer science outside of school. If you still insist on donating, you may do so here. ("Choose another area", specify "Hacker Society" under special instructions). Thank you! Apple, the Apple logo, iPhone, and iPod touch are trademarks of Apple Inc., registered in the U.S. and other countries. App Store is a service mark of Apple Inc. Android, Google Play, and the Google Play logo are trademarks of Google Inc. GeForce, Shield, and GameStream are trademarks of NVIDIA Corporation. All other trademarks are property of their respective owners.